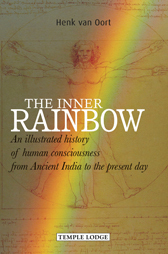 Featuring more than 50 colour images, The Inner Rainbow takes the reader on an journey through time, from Ancient India to the present day. This is the journey of human consciousness - the story of an eternal, metamorphic process. As the author suggests, consciousness is not a self-contained, unchangeable faculty. The way we perceive the surrounding world today - with the potential for sophisticated and exact observation of natural phenomena - has evolved over thousands of years. What was once a blurred and fragmentary perception in the time of Ancient India has evolved to a clear awareness of everyday reality. Using pictures as his starting point, Henk van Oort outlines a remarkable narrative, beginning with the age-old myth of Noah's Ark, in which a rainbow is presented to the survivors of the Biblical flood. This rainbow in nature, with its seven colours, is mirrored in the ancient teaching of the seven human chakras, also with seven colours. Through a gradual process of change over centuries, this outer rainbow has been internalised into an inner rainbow, shaping a bridge between body, soul and spirit. With its ever-changing consciousness, this inner rainbow is a wonderful sense organ, in process of reaching a new peak of development. Understanding our past - the progressive stages we have passed through - is a prerequisite for optimal use of our consciousness now. Ultimately, then, this book can be seen as a guide for working with your own inner rainbow: to expand, deepen and enliven your picture of the world and your true self. HENK VAN OORT, born in 1943, trained as a primary teacher before taking a Masters degree in English at the Amsterdam University. He has taught for more than 40 years in primary and secondary education, including class teaching in a Steiner school, teaching English, and running educational courses and seminars for teachers and parents. His interest in literature and poetry has led to his appearance at storytelling and poetry seminars, and his introductory courses to anthroposophy are highly successful. Based in Bergen N.H. in the Netherlands, Henk van Oort is married and the father of three grown-up children. He is the author of Anthroposophy, A Concise Introduction and A-Z Anthroposophy.